The best travel cpap ever? We think so. The Z1 Auto builds on the form-factor of the Z1™ CPAP to deliver the world’s lightest, most integrated auto-cpap machine. 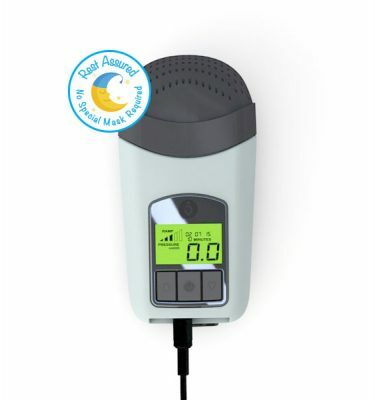 At only 10 ounces the Z1 Auto is the best machine we have released and when integrated with the PowerShell™, the Z1 Auto delivers an amazing night’s sleep on a single battery charge. 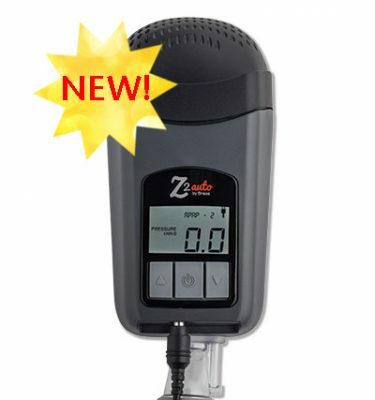 The Z1 Auto is covered by an industry-leading 3 year warranty from the time of purchase. Free shipping! This item qualifies for free ground shipping. Just use coupon code “freeground” at check out and select “Free Ground Shipping” as the shipping speed option. Use the Z1 Auto with your favorite mask. The Z1 Auto works with most masks. Note: some masks are designed with proprietary fittings and only work with that one brand of cpap. These masks will not connect to the Z1. The Z1 Auto is proudly designed and assembled in Massachusetts. The Z1 Auto is an auto-cpap machine that actually adapts to your breathing requirements thousands of times per night. By reacting to your requirements- rather than just delivering one constant pressure- the Z1 Auto delivers therapy at lower overall pressures and delivers a better breathing experience. The Z1 Auto is an auto-cpap machine and requires a valid, U.S. prescription to program and ship the device. An auto-cpap prescription will have 2 settings prescribed; both a low-pressure and a high-pressure. If you would like more information to use in discussions with your physician, this document discusses how to prescribe auto-cpap or convert to auto-cpap from a cpap prescription. The Z1 Auto cpap is data-capable and records all information on events and compliance. Download the free Nitelog™ mobile app for iOS or Android and sync directly to your device with Bluetooth®. Review your data or share it with your doctor directly from the app. Traveling abroad? The power supply auto adjusts from 100 to 240 volts. All you need to add is the proper plug adapter for the country you are visiting. Approved usage: Z1 Auto CPAP device is approved for use by adults only that are 66 lbs. and above. Please tell us how you will submit your prescription. Select an option... I will fax my prescription to 434-260-7975 I will submit my prescription using the online form. (http://hdmusa.com/submit-your-prescription/) I have purchased before and my prescription is already on file. Light, portable, and integrated auto cpap. The Z1 Auto builds on the form-factor of the Z1® CPAP to deliver the world’s lightest, most integrated auto-cpap machine. At only 10 ounces the Z1 Auto is the best machine we have released and when integrated with the PowerShell®, the Z1 Auto delivers an amazing night’s sleep on a single battery charge. Why is the Z1 Auto better? 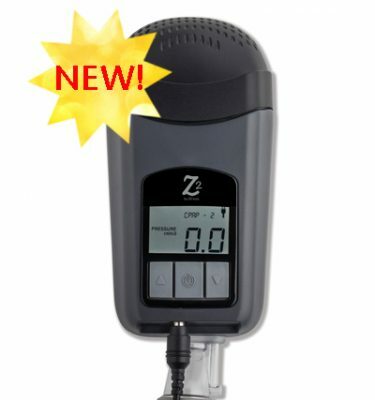 With its proprietary breathing algorithm and sampling rate of several times per second, the Z1 Auto delivers extremely responsive and effective therapy at lower overall pressures than a fixed-pressure cpap. The result is more responsive therapy and a more comfortable experience. 5 out of 5	Love the size! I went from a cpap the size of a shoeBOX to one that is not even as big as a shoe! So much more room in the suitcase now! I’ve avoided taking a CPAP on my travels because I have enough to lug with a rollaboard and a briefcase. I bought this little jewel when it was first available and I am thrilled with it. It works great, adjusts to my breathing, and provides me with a great night’s sleep on the road. I am no longer exhausted because of poor sleep and I can pack it in my rollaboard easily. Thank you, Human Design. Brilliant.